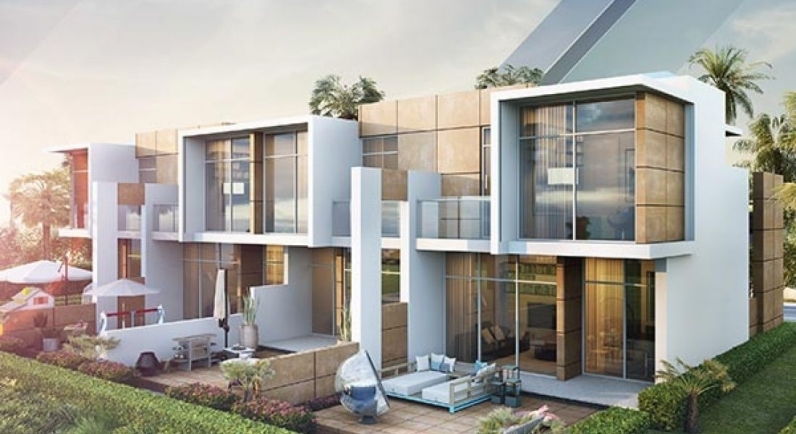 Sahara Villas in AKOYA Oxygen, Dubailand is being constructed by Damac Properties. The amazing Sahara Villas offering choices from 3 and 4 bedrooms available with a flexible payment options and the villas are constructed well-planned which offers a luxury lifestyle to the resident. Sahara Villas by Damac is a selection of Arabian-inspired homes in the magnificent location of Akoya Oxygen. Each living space welcomes to customize it according to the unique personal touch. "Damac properties" is introducing Sahara Villas in Akoya Oxygen. These luxury homes designed to encapsulate the rich heritage of the region. Available in three and four-bedroom arrangements, Sahara Villas are set in a prestigious golf community with access to world-class amenities. Sahara Villas is a collection of luxury villas in Dubailand. It is one of the ideal international golf communities in Dubailand. These villas are imaginatively crafted to provide a comfortable home to its residents with providing wide open spaces, opulent interiors, finest furnishings and world-class facilities.These villas are located within the international golf community price starting from AED 999,999 with an easy and attractive payment plans. Damac has constructed Sahara Villas which is the most encouraging development which offers the numerous facilities to the inhabitants with quality and luxuriousness. This ideal location of Sahara villas allows easy entry to major road systems that put the city within easy reach in Dubai. This villa is located in the family-oriented community where one can find huge entertainment options for all and it also offers a healthy lifestyle with the countless cafes, restaurants, shopping sites and many others. Spacious three and four-bedroom arrangements featuring separate living area, dining area and community are available in Sahara Villas. The homes also provide a private parking space and access to world-class amenities of Akoya Oxygen. Till date DAMAC Properties has achieved a milestone by completing almost nine thousand units since its establishment in 2002 and now it is on its way to reach new heights by developing almost 25000 units in the Middle East region including Dubai. The developer is paying its significant contribution to the growth of Dubai. These consist of 9849 units, spanning 16,886,151 Square Feet. These consist of 9849 units, spanning 16,886,151 Square Feet. Sahara Villas project by Damac at Akoya Oxygen is a neighbourhood of Dubailand in UAE. Sahara villas will also have access to the many amenities like Trump World Golf Club Dubai – championship course by Tiger Woods Design, nature-inspired facilities, gourmet fare, retail boutiques, its own rainforest and an 18-hole international golf club, Unique yoga enclave inspired by the natural elements, Waterplay fountains across the community, Organic fresh market, Healthy dining, Luxury retail, hospitality and entertainment, Hydroponic cafe, Five-star hotel and suites, Desert-inspired luxury spa, Schools and nurseries.